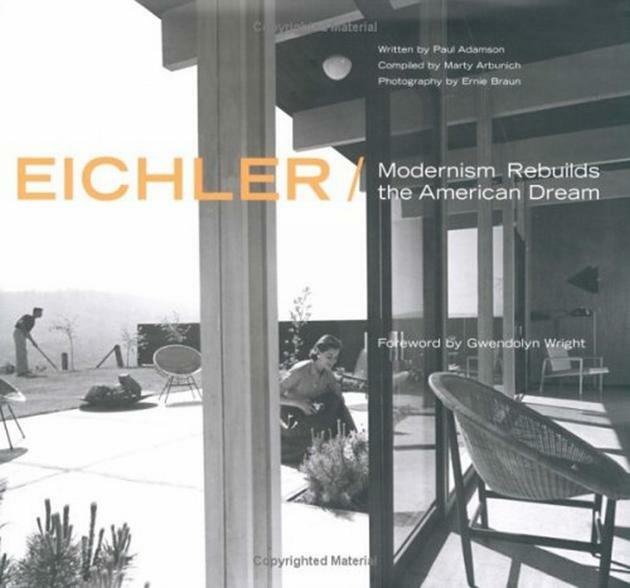 …continues from Eichler Homes, Promoting Modernism. Starting in 1953, the American real estate market began to change. The rise of average salaries and a spreading optimism about the future, caused a dramatic increase of buying requests for the first time since the end of the war. 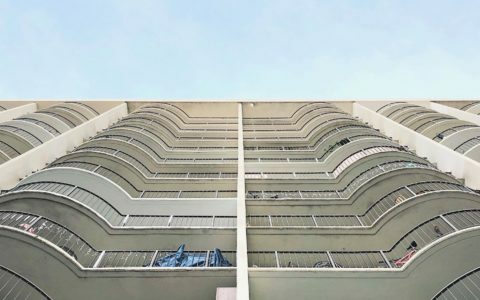 New buyers also began to develop more refined tastes – asking for more elaborate designs; requests to which builders eagerly responded, including new features as second bathrooms, larger living areas, more functional kitchens and in-house intercoms. In order to stand out in this new competitive environment, Joseph Eichler used non-traditional advertising techniques to promote his developments. Organising demonstration house projects was his most successful strategy to gain interest around the houses that, during the 1950s, also earned him considerable notoriety within the industry. 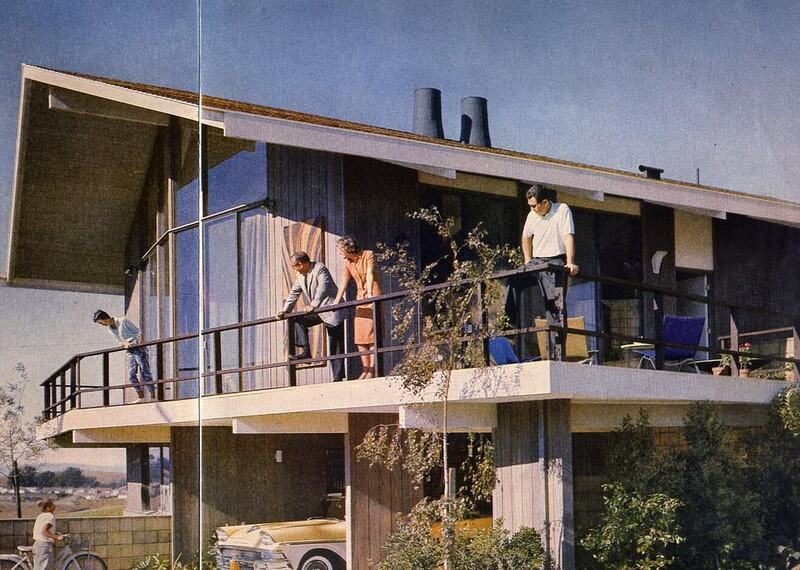 In 1957 the popular Life magazine asked Eichler to build a split-level design prototype house. 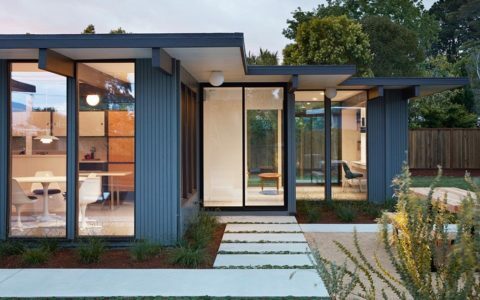 The magazine had originally asked for quotes from a New York based developer but Eichler was their final choice – largely owing to his reputation for building affordable but stylish homes. Pietro Belluschi designed a building with airy living areas and high ceilings, a large deck space and a dynamic shape. 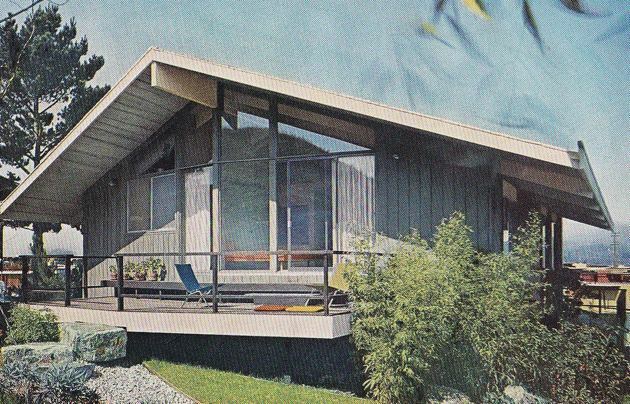 The site that Eichler found to build the Life house was on the edge of his San Mateo Highlands development and he hired Jones and Emmons to refine Belluschi’s design for construction purposes. When completed, the Life house featured landscaping by Walker&Associates and interiors by Dianne Knorr (wife of the famous architect Don Knorr) and was published in a multi-page article in the magazine. 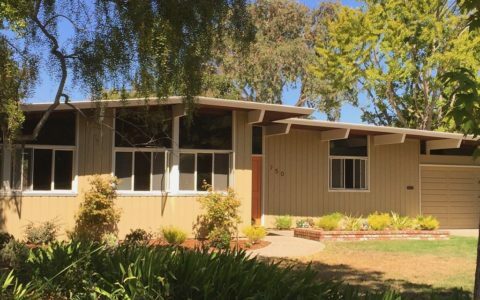 This was of course huge exposure and a great opportunity for Eichler – promoting his business in a highly regarded and widely distributed magazine. 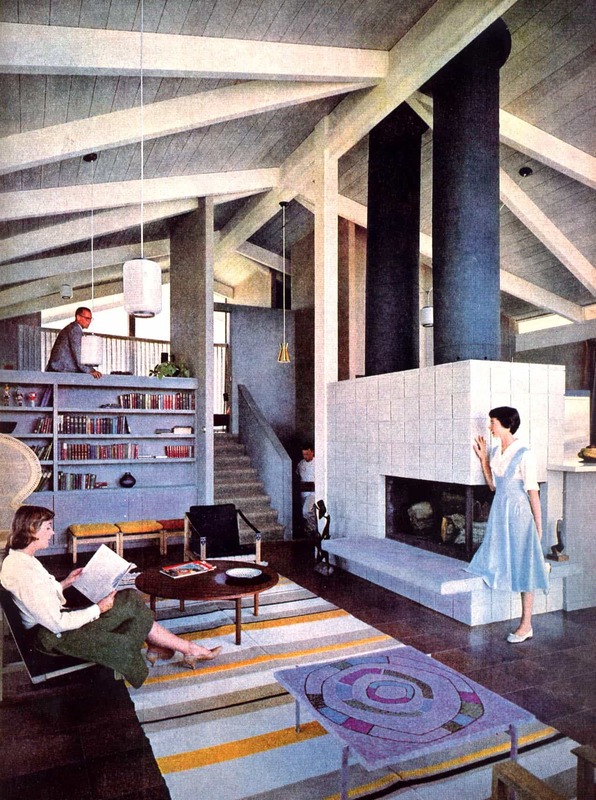 The Life house, thanks to it’s modern features such as a two-level fireplace, built-in intercoms and airy spaces, was the perfect answer to the increasingly demanding requests of modern middle-class buyers. The homes’ plan had a spacious master bedroom overlooking the living areas, with an overall feeling of openness created by utilizing the absolute minimum of interior partitioning – all while still being relatively affordable. The refinements that Jones and Emmons made to Bellushi’s original design were crucial to keeping the costs down. They replaced the criss-cross ceiling structure he originally created, with a more straightforward V-shaped structure that kept it’s visual appeal but required less labor and material. A year later, in 1958, the house was revealed to the public during a highly advertised event and published by Life in the October 6 issue.